All students in Year 12 have access to the full programme to support options post 18. PSHE Lessons, form time activities, talks, lectures, speakers and presentations form the basis of the programme which begins in the September of Year 12. There is a parent and student talk in June 2017 to support parents and students with post 18 options as they commence towards Year 13. Year 12 students are actively encouraged to take full advantage of the University Summer Schools such as the Sutton Trust Programme (UK & US), UNIQ (Oxford University) and others. A copy of the student ‘How to Apply Guide’ and ‘How to write a Personal Statement Guide’ are attached below. UCAS Applications are started in the summer term to ensure students are able to take advantage of the maximum time to create a strong application. References are written in collaboration with the student’s subject specialists, Form Tutor and Head of Year/UCAS coordinator in the autumn term of Y13. Leading lecturers and professionals, such as Jane Marshal from Imperial College London visits the school to support with mock interviews and a personal statement talk. To support apprenticeships we have invited representatives from John Lewis and other leading industries to provide support for students entering apprenticeship and the Step Forward Programme who support students wishing to pursue a gap year programme. Miss Connolly (Head of Y13/UCAS Coordinator) is also beginning a partnership with the UK Apprenticeship scheme to provide students in KS4 and KS5 with the best information available. 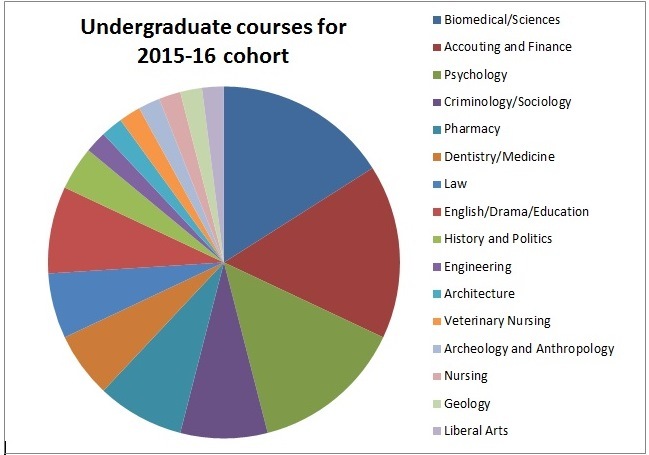 In 2016, 21% of students who applied through UCAS have gone on to study at Russell Group Universities such as KCL, UCL, Manchester, Birmingham, Nottingham, Edinburgh and Queen Mary. UCAS How-to guides: Ultimate support for students applying through UCAS.